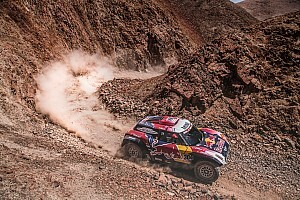 The route for the 2020 Dakar Rally, the first edition of the legendary rally-raid to be held in Saudi Arabia, has been revealed. Toby Price has ditched the bike class in favour of a truck for the this year's Finke Desert Race in Central Australia, in a bid to be fully fit for his 2020 Dakar bike title defence. Fernando Alonso got his first taste of Dakar Rally machinery this week in a test with Toyota in South Africa. Two-time Formula 1 world champion Fernando Alonso will get his first taste of Dakar machinery on Wednesday and Thursday when he tests the Toyota Hilux in South Africa. A three-hour penalty for Honda rider Kevin Benavides in the 2019 Dakar Rally has been overturned, nearly two months after the event concluded. Long-serving Dakar Rally director Etienne Lavigne has stepped down from the role, with David Castera taking the position instead. Dakar winner Toby Price is set to go under the knife today to repair significant damage that was done to his broken wrist while in the Peruvian dunes. Shock 2019 Dakar winner Toby Price has made a spectacular homecoming to Australia, including a unique bike salute out the front of Brisbane Airport. Laia Sanz admits she was "very surprised" to maintain her perfect record of Dakar Rally finishes, having only just recovered from a serious illness before this year's edition. 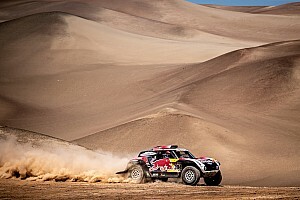 Following the conclusion of the 2019 Dakar Rally, Motorsport.com continues its annual tradition of naming the standout performers of the marathon across all classes. Nasser Al-Attiyah believes his Dakar Rally success this year will prompt Toyota to increase its backing of the Gazoo Racing South Africa team in future editions of the race. KTM rider Sam Sunderland inherited third place in the 2019 Dakar Rally's bikes classification after his one-hour penalty he received earlier in the event got revoked. It took a makeshift device – that held his KTM's throttle open on liaison stages – to get an injured Toby Price through to a remarkable second Dakar victory. Dakar director Etienne Lavigne says he wants the 2020 running of the event to return to a three-country model with a variety of terrain, but can't yet commit to a return to South America. Nasser Al-Attiyah has claimed a milestone first Dakar Rally win for Toyota in the 2019 edition of the race.